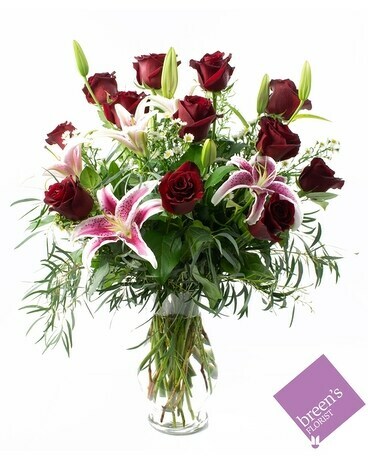 Our traditional style of roses feature our long stemmed Premium Rose with a variety of greenery and accent flowers for the perfect romantic gesture. *Type of accent flower may vary based on availability. Why not upgrade your roses with beautiful oriental lilies for a bigger WOW?